A significant number of Jews live among the growing masses of Bombay, India, and its surrounding areas. They are commonly known as the Bene Israel, or "Children of Israel." The language they speak, Marathi, is an Indo-Aryan language spoken by many other peoples in the region. According to tradition, Bombay Jews are descended from seven Jewish families who were shipwrecked off the Indian coast around 175 B.C. They lost all the Jewish holy books but retained Jewish customs such as circumcision, observance of the Sabbath, and dietary regulations. They settled in villages along the coast and remained completely unknown to other Jews until the 1900s. In the following years, they gradually adopted modern Jewish religious customs. Leaving their small villages, most moved to Bombay. In the late 1940s and throughout the 1950s, the great majority migrated to Israel, but some remained in India. At some point after their arrival in India, Bombay Jews were incorporated into India's strict system of social classes, or "castes," and became recognized as a distinct caste. They were eventually subdivided into two sub-groups, the Gora and the Kala. The Gora claimed direct ancestry from the original Jewish settlers in India, while the Kala were the descendants of mixed marriages between Jews and Hindus. Traditionally, the Gora and the Kala never intermarried and even refused to eat together. Today, however, there is little or no distinction between the two groups. In Bombay, most of the Jewish population live in typical apartment houses. The wealthier people, however, live in private homes. Traditionally, their most important occupation in the villages was the extraction of oil from seed. Today, the few Jews that still remain in the villages work primarily as farmers or in industries that are indirectly associated with oil pressing. Within the city of Bombay, Jews are employed in numerous professions. Some work in service industries, while others work as clerks, mechanics, white-collar workers, or skilled laborers. A significant number are professionals, such as doctors, teachers, and lawyers. Still others are employed in the armed forces or in the transportation and communications industries. Most Bombay Jewish families are typical nuclear families; that is, they are composed of a man, a woman, and their children. In order to keep wealth and prestige within the family, the Jews have traditionally preferred marriage between cousins. Divorce is completely unacceptable to them and is a very uncommon occurrence in their culture. At one time, Bombay Jews practiced polygamy, but now most of their marriages are monogamous (having only one spouse). Children are raised by all the older females in the house, but discipline is carried out by all the older males. Education for the children is highly valued by the parents. Following the law of Moses, Bombay Jews traditionally practice all of the conventional Jewish beliefs. They observe strict dietary laws, circumcise male children, and observe the Sabbath. In addition, they recite the Shema, the Jewish confession of faith found in chapter six of the book of Deuteronomy. They also celebrate Jewish festivals such as Passover and Yom Kippur. However, a few of their beliefs, especially those pertaining to the afterlife, reflect a Hindu influence. Bombay Jews are strongly dominated by tradition. As a result, they are not very receptive to change. In addition, their emphasis on intellectual achievement may prove a stumbling block to their acceptance of the Gospel. The Bible, the Jesus film, and Christian radio broadcasts are all available to the Bombay Jews; nevertheless, if they are to be reached with the Gospel, Christians must commit to fervent intercession for them. * Ask the Lord of the harvest to send Messianic Jews to share Jesus with the Bombay Jews of India. 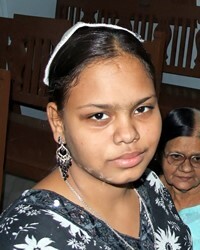 * Pray that the Jesus film will effectively reveal the person of Jesus to Bombay Jews. * Ask God to open the spiritual ears of the Bombay Jews as they listen to Christian radio broadcasts. * Pray that many Bibles will be distributed among Bombay Jews. * Pray that strong local churches will be raised up among them.View Jew, South Asian in all countries.